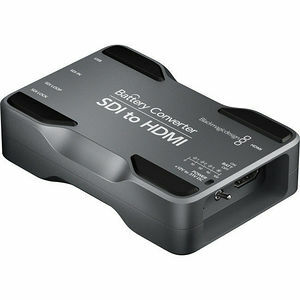 Convert an SDI input to HDMI output. Perfect for connecting SDI camera outputs to HDMI monitors on location. Includes SD/HD auto switching and features SDI loop through for connection to further equipment. Includes a built-in lithium-ion polymer rechargeable battery and external power supply.